It happens every couple of years. I have to pack boxes for the umpteenth time. The last time we moved I hastily packed (well, the movers actually did most of the packing) and didn’t bother to sort through papers or donate unwanted items. This time I decided to be more thorough. There was no point moving that extra stuff (junk) that we would never use or need. So, I poured a glass of wine and started poking through piles of papers, binders and books. Lo and behold, I came across some old journals. I prefer to call them journals, but I guess you could also call them diaries. However, I don’t have any secrets to keep (you should know that by now if you read my blog) nor did I back then when I was on my own writing in these “journals.” It was just me and my life roaming free. As I read through them, I laughed at my former self, pitied my former self and felt anger towards my former self. It was obvious that my journals were only meant to convey negative thoughts and emotions. I never had anything nice to say about myself and I felt like the world was out to get me. Then I got to the part about the “black hole.” I had sunk so low that I felt like I was in a black hole. It was the time in my life when I was so depressed that I lacked the ability to communicate with others, didn’t sleep and was barely able to eat. I didn’t need the journal entries to remember that time in my life. I had to visit therapists and take prescription medication. I felt hopeless and lost. Then something changed. I began to claw my way out of the black hole. Even though I was married (and still am) to the greatest man ever and had just given birth to the most beautiful baby girl, it took more than that to get me out of the hole. Running threw me a lifeline and I was able to finally heave myself out of the darkness. As I focused my negative energy on running, I was helped along with the support of my husband and my friends. They encouraged me and I kept going. It did take a few years, but I finally made peace with myself and was finally able to accept me for me. In an effort to never go back into that black hole, I keep running. I don’t need therapists or medication to stay mentally healthy. Running keeps me sane. 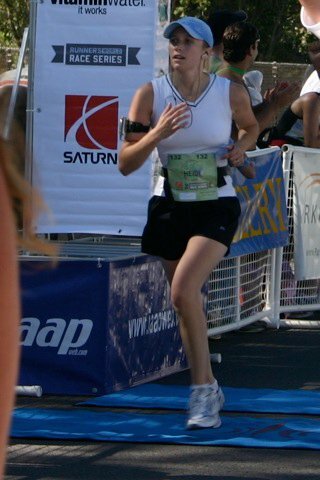 I run because I am training for an event, I run to stay healthy or sometimes I run just for the heck of it. I spend quality time with myself when I run. I challenge myself to achieve greatness. I find strength that I never thought I had. I rise above and conquer. I absorb the world around me. I accept it all just the way it is. As I read through the last journal entry, I felt the need to write a new entry. I told my former self about how I have grown up and become self-disciplined, intrinsically motivated, independent, fearless, strong, determined, fit, healthy and beautiful… all the characteristics I thought I was lacking when I was at my lowest. Running, along with my family, saved me from myself. Depression is painful. You feel lost and alone. No one can understand what it is like unless they have actually been there themselves. It is not just about feeling bad for a day. It can last weeks, months, years. Running might be helpful for some. It is worth a try. 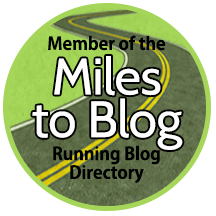 This entry was posted in Running Experiences and tagged acceptance, depression, family support, overcoming depression with running, running, running for sanity.